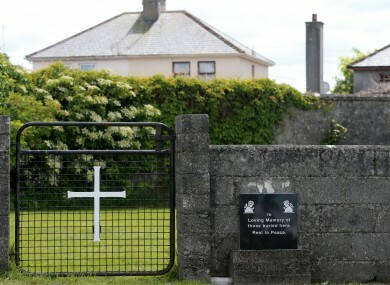 A ROW IS brewing over an email response from the public relations representative for the Bon Secours sisters, Terry Prone, about the Tuam babies site. The email was sent in response to a request for an interview with Sr Marie Ryan of the Bon Secours nuns by documentary maker Saskia Weber. She is making a documentary for France 2 about the Tuam babies and mother and baby homes in Ireland. Bon SecoursYour letter was sent on to me by the Provincial of the Irish Bon Secours congregation with instructions that I should help you. I’m not sure how I can. Let me explain.When the “O My God – mass grave in West of Ireland” broke in an English-owned paper (the Mail) it surprised the hell out of everybody, not least the Sisters of Bon Secours in Ireland, none of whom had ever worked in Tuam and most of whom had never heard of it.If you come here, you’ll find no mass grave, no evidence that children were ever so buried, and a local police force casting their eyes to heaven and saying “Yeah, a few bones were found – but this was an area where Famine victims were buried. So?”Several international TV stations have aborted their plans to make documentaries, because essentially all that can be said is “Ireland in the first half of the twentieth century was a moralistic, inward-looking, anti-feminist country of exagerrated religiousity.”Which most of us knew already.The overwhelming majority of the surviving Sisters of Bon Secours in Ireland are over eighty. The handful (literally) still in active ministry are in their seventies. None of them is an historian or sociologist or theologian and so wouldn’t have the competence to be good on your programme. Speaking to TheJournal.ie, Prone confirmed she had sent the email, but said there was “absolutely no difference” between the substance of it, and public pronouncements made by the Bon Secours sisters. “The sisters never knew anything about it,” she added. The email in question first emerged last week, when Kevin Higgins, a solicitor who is helping women who stayed in the home, shared it on his Twitter account. Weber said she had contacted the nuns of the Bon Secours with a request to interview Sr Marie Ryan, the country leader of the Bon Secours. The woman who she spoke to “was very open”, said Weber. The filmmaker was instructed, she said, to send her request by email to Prone, who was looking after public relations for the religious organisation. Weber received the response, published in full above, within five days. She has not responded to Ms Prone’s email. “I could have just insisted [on getting the interview] but I don’t think [anything] is going to happen,” she said. She added that she had received a negative response from all the dioceses she wrote to when setting up interviews for the documentary. A previous letter from the Bon Secours order shows that the sisters were aware of a grave site at the Tuam home, and a child being buried there. In 2012, Country Leader of the order, Sister Marie Ryan, wrote to a unnamed woman whose brother, John Desmond Dolan, is listed on the death register at the home. The letter was posted on Twitter by Daily Mail journalist Alison O’Reilly in September. I note that [John Desmond] unfortunately died on 11 June 1947 and the death certificate seems to indicate that the place of death was at the Home. As I understand it there would therefore be a very good possibility that his remains were buried at the small cemetery at the Home itself. This is located at the back of the Home and was operated as a general grave. Speaking on RTÉ’s Drivetime this evening, researcher Catherine Corless said the Bon Secours order had recently told her they had no awareness of a grave “in the area” of the home. She was therefore “astonished” to hear that Sister Ryan had mentioned, in 2012, the burial of a child at the rear of the home. The government established a Commission of Investigation into the home in July. Email “Row brews over Terry Prone Tuam babies email”. Feedback on “Row brews over Terry Prone Tuam babies email”.